Texture is one of the defining characteristics of some of the biggest accessory trends of Summer 2018. See raffia bags, Lucite everything and arts and crafts-inspired pieces. If you’re looking to incorporate some more texture into your wardrobe and get a bag that doesn’t look like the 10 you already own, a macramé bag is one trendy option. Macramé is the art of using cord or string to create decorative patterns. You may be familiar with it in home decor where it’s used in wall hangings, pillows, drapes and plant hangers. It’s a boho look that works just as well in fashion, especially in summer styles. Macramé belts, dresses and cover-ups often come out for beach trips. This year, macramé bags are the most popular style. The crafting technique is easier than knitting and crocheting so you could potentially DIY your own bag, but why would you want to when there are so many cute options available? Most styles are chic enough that they can be taken from the beach to the streets. In addition to adding visual interest to an outfit, the woven design offers some extra growing room that pack rats will appreciate. Just take care not to overfill the bag because you don’t want all the handiwork to start ripping. 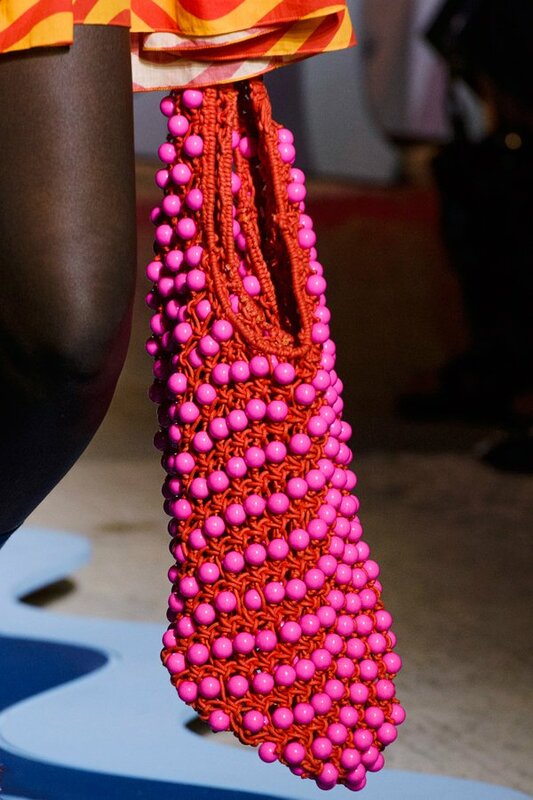 Click through the gallery below to shop 16 versatile (and mostly affordable) macramé bags that will be a head-turning addition to any look.